The Saatchi Bill team congratulates Empower Access to Medicine on their historic campaign win to fast-track innovative new medicines that are proved to be safe to patients. 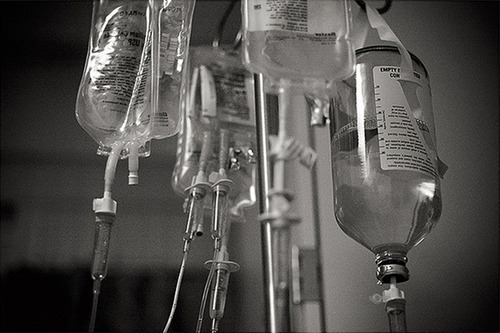 Under the Department of Health-backed scheme, any severely ill patient with a life-threatening or debilitating condition will be able to get new drugs that have been proved to be safe but are still in development, even if the patient is not within the strict eligibility parameters for a specific clinical trial. It is hoped this will have a dramatic and positive affect on terminally ill patients who have run out of standard treatment options, allowing doctors to try new and promising drugs. A company with a promising treatment will have to get provisional approval from the Medicines and Healthcare Regulatory Agency once it has shown it is safe and may work. NHS doctors will then be able to prescribe it for their patients. Lord Saatchi’s Medical Innovation Bill has the same objectives as Empower – to support doctors to use innovative treatments on patients who have run out of standard options – and has been working with the Empower campaign. The Medical Innovation Bill will support doctors who want to prescribe novel drug therapies which have been proved to be safe and possibly effective, or have been tested for use on patients with different diseases for which the drugs are not technically licenced. Going ‘off label’ as it is known, may currently leave doctors open to litigation if the drugs don’t work as hoped. But under the Bill, doctors would be able to use early access drugs, it would require doctors to be able to show that they have considered all relevant criteria and that they have followed a transparent and accountable process, including having signed of their use with a panel of doctors and the consent of the patient. The Bill also rules out the possibility of misuse by irresponsible doctors – by insisting they get approval from a body of expert clinicians. Lord Saatchi believes that full clinical trials are the gold standard, driving evidence-based medicine which in turn creates new treatments. But there are not enough trials taking place for rare diseases and cancers. Prof Walker believes that doctors should be able to try new treatments with patients on an individual basis, which then builds up the evidence base and helps develop new treatments. Alex Smith, who runs Harrison’s Fund to help find a cure for Duchenne Muscular Dystrophy, from which his young son, Harrison, suffers, said: “The Empower ’early access’ campaign is a fantastic step forward in our determination to ensure that when drugs have a strong safety profile and clinical efficacy, access is granted quickly to disease populations where the need is great. “This alongside the new legislation detailed in the Saatchi Bill will make early access to drugs and a culture of innovation in medicine to treat rare and fatal conditions a reality.